Do you remember wired remote controls? I have been coming across many references to obsolete or old gadgets recently from a variety of sources, such as the blogosphere, social media, adverts on the London tube, as well as people. They sometimes are quite fun and can make up for a nice conversation topic. 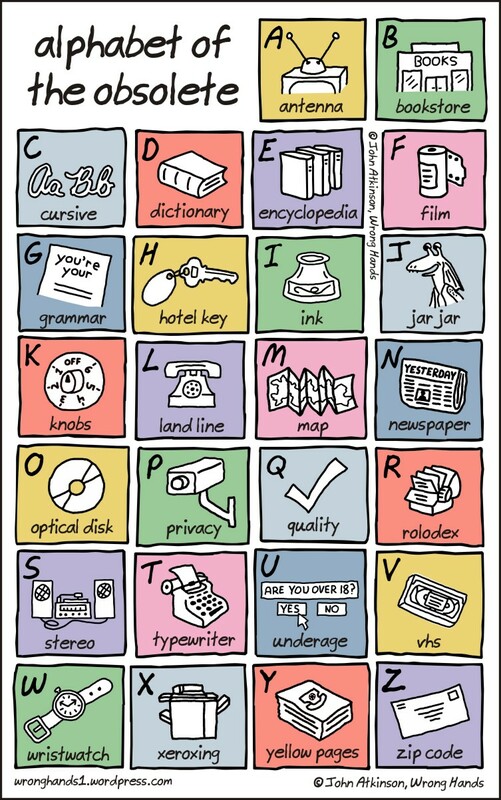 So, I thought I’d compile here some fun cartoons on vintage tech. Take a look! When a friend mentioned wired remote controls at a party, I had to admit that I could not even remember how it looked like. My parents had a big one that did not even work well when we used it. Even the new one doesn’t. Ah, techonology! I wonder if poking fun at technology changes is only a way to defend ourselves from the unknown or uncertain future too. As terminology changes over time to accommodate new developments and trends, we can also lose perspective. That’s why I like this cartoon. How do you prefer socialising? I love this one. 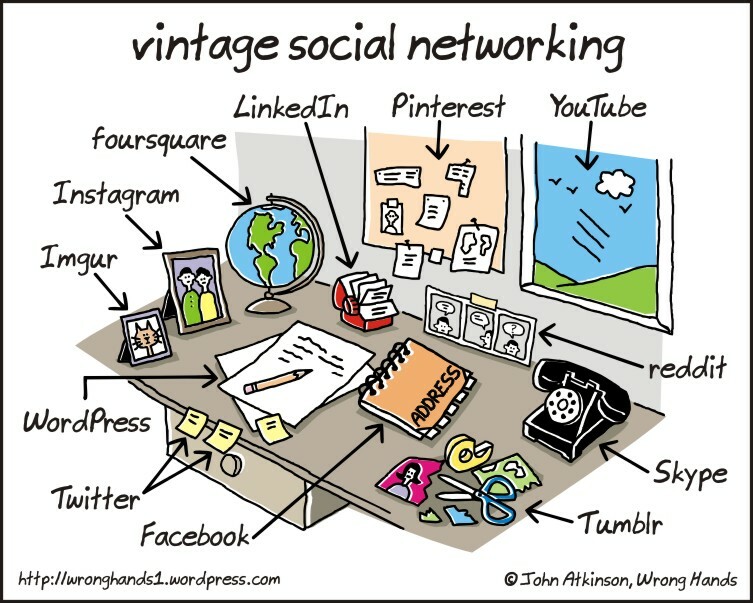 Power Point is not yet becoming vintage, despite having been created in 1987 and judging from the amount of crap presentations still being circulated via e-mail. 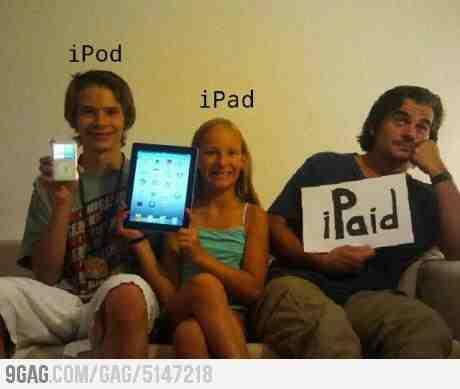 Gadgets also cost money, you know? They also become vintage rather quickly. It is kind of sad to lose some things, like books. Not so unhappy about losing aerials though. Out with them! Which ones of the following would you be happy to lose? Thanks for reading my post today! I look forward to reading your thoughts too. That is quite the collection! Well done. The one thing I absolutely can’t stand to lose is “G = Grammar”. I totally agree with you! It’s so difficult to read some text messages or e-mails sometimes.